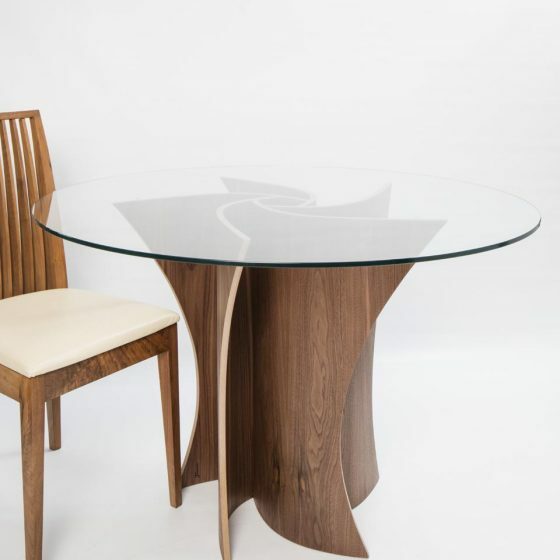 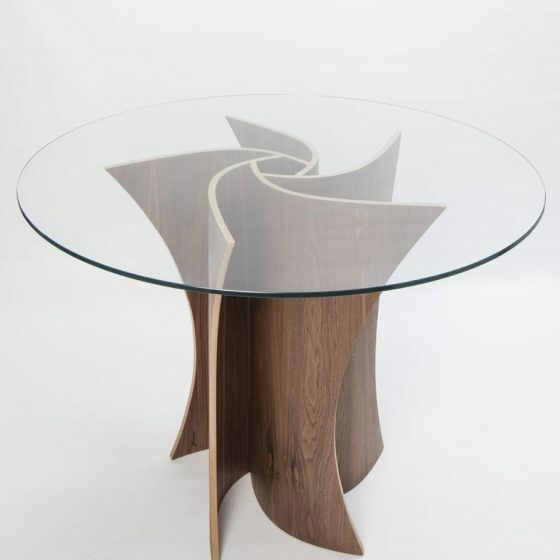 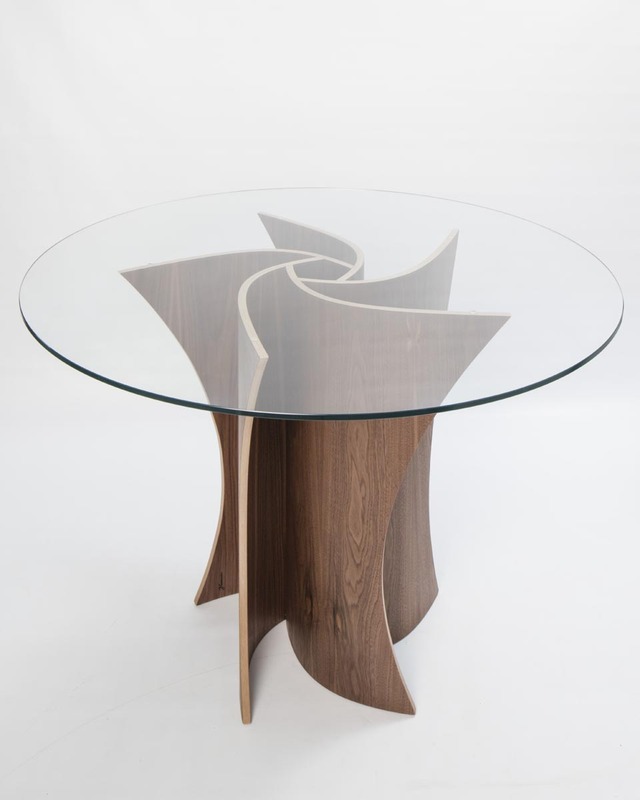 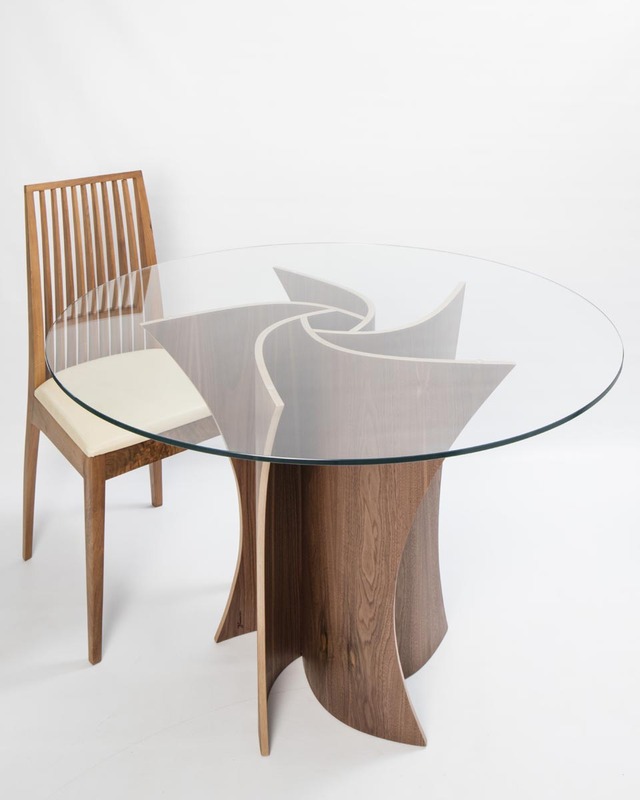 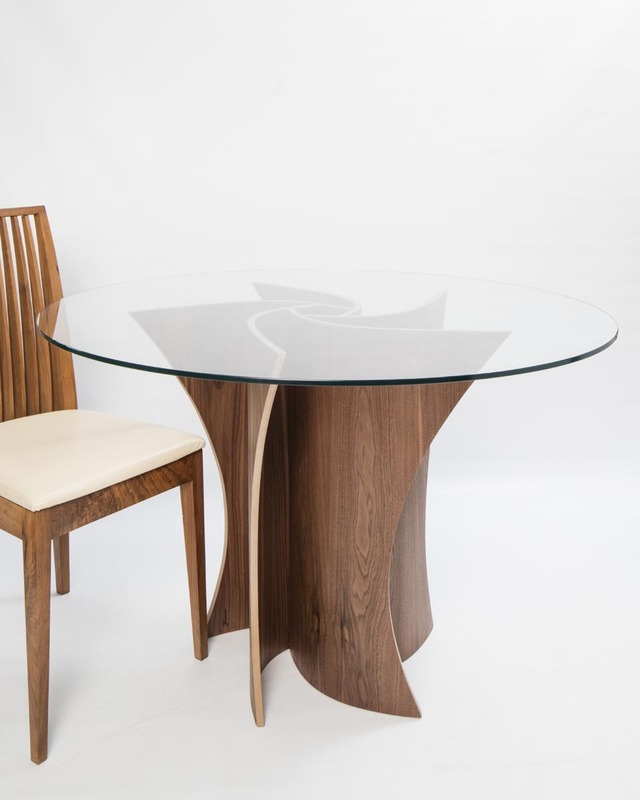 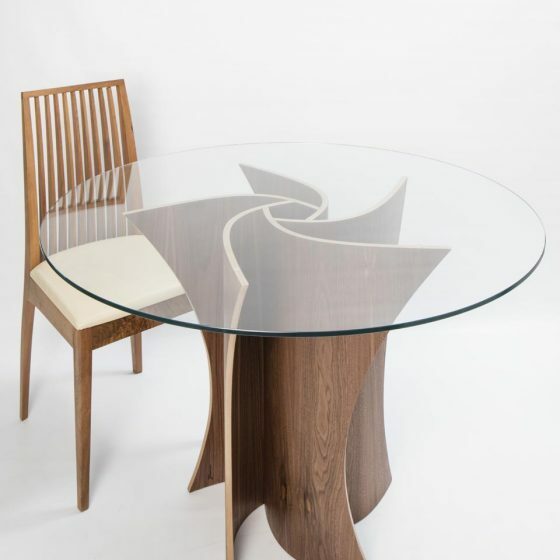 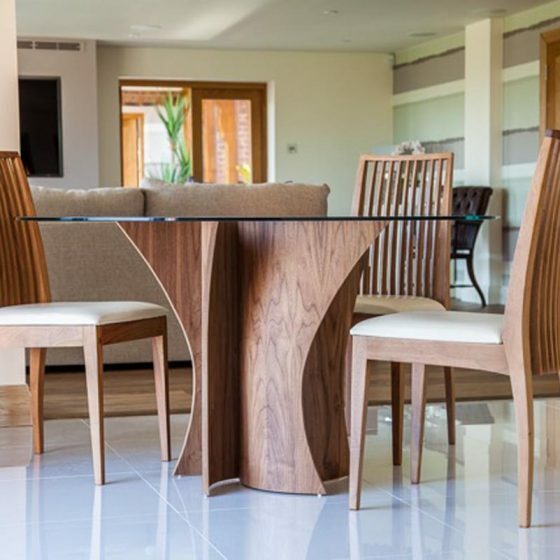 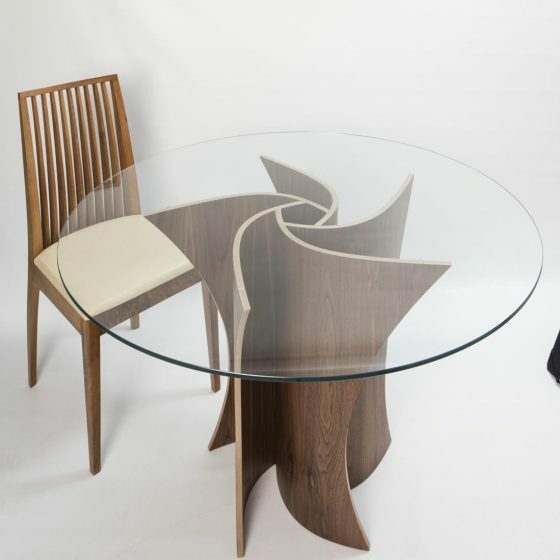 The Spiral Range is based around a curved set of 5 legs that mitre together and form a central pentagon. 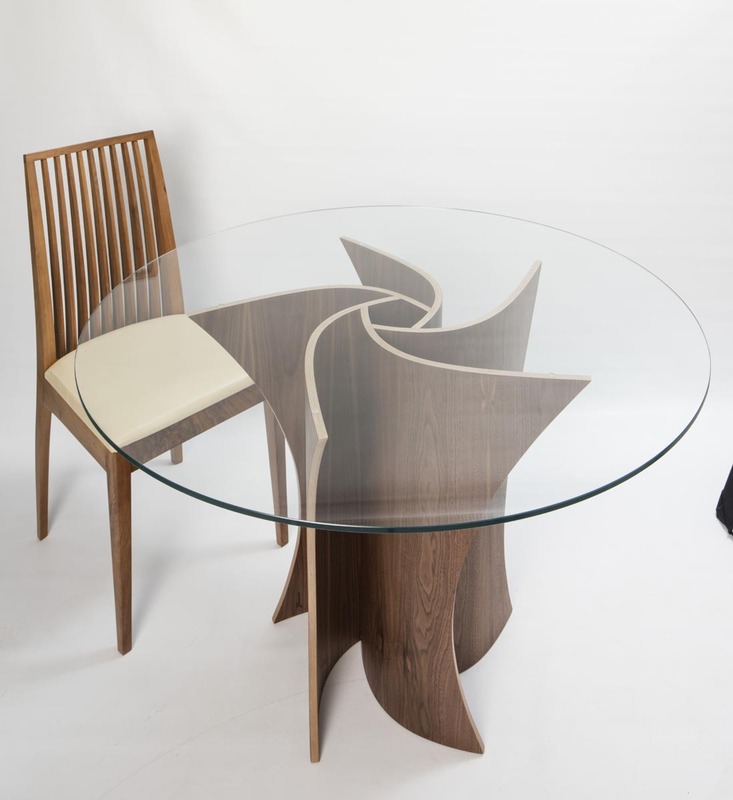 The Spiral Range is based around a curved set of 5 legs that mitre together and form a central pentagon. 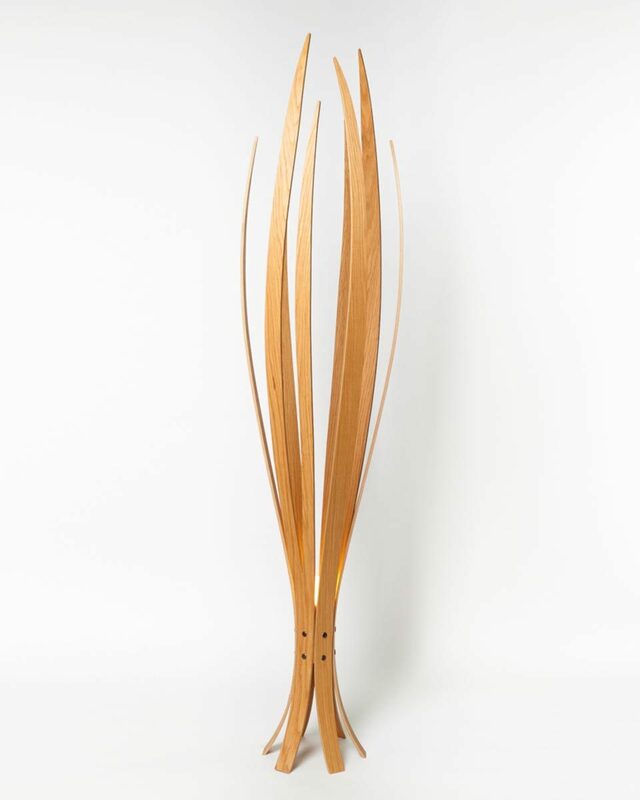 This is a visually captivating contemporary piece with a strong sculptural and structural presence. 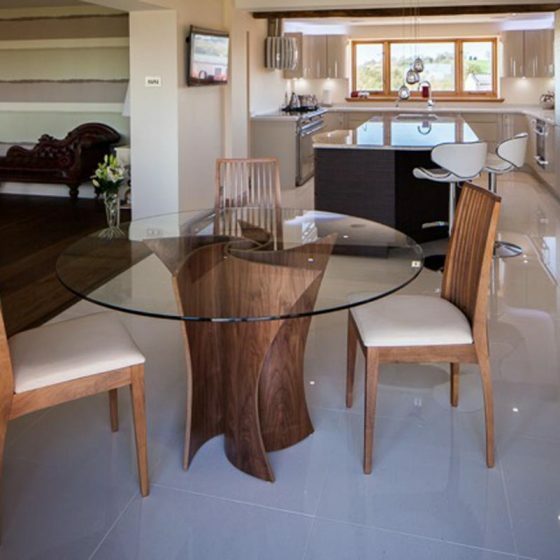 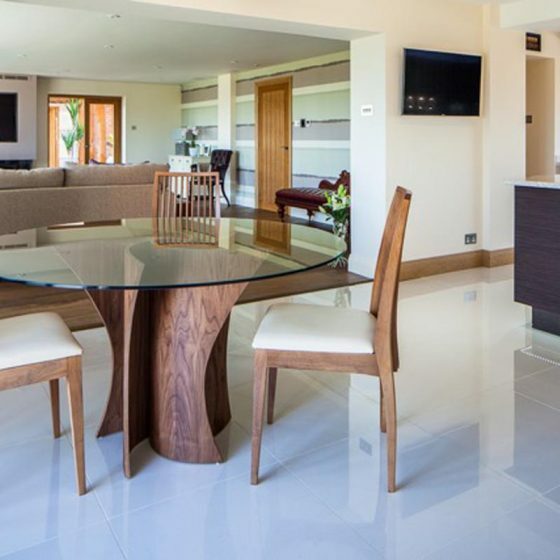 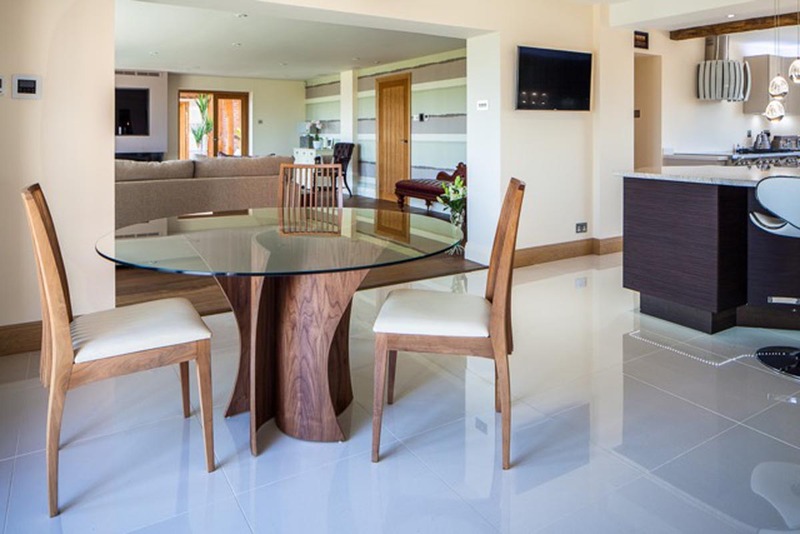 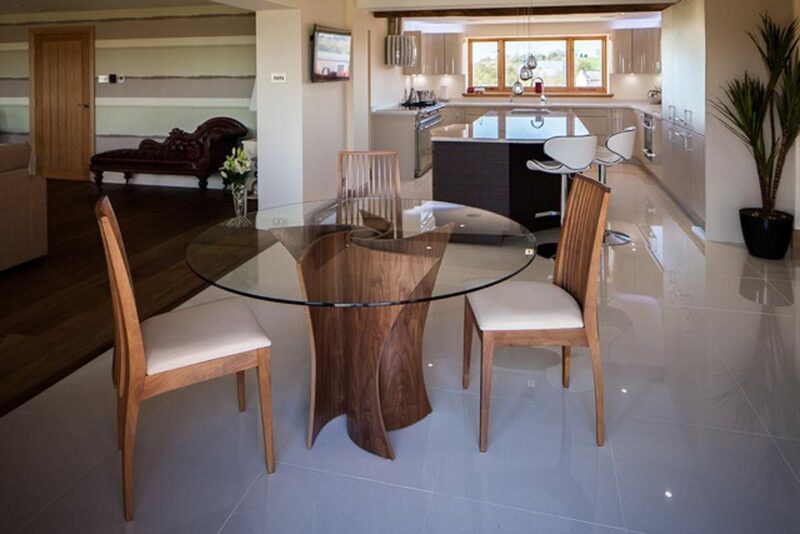 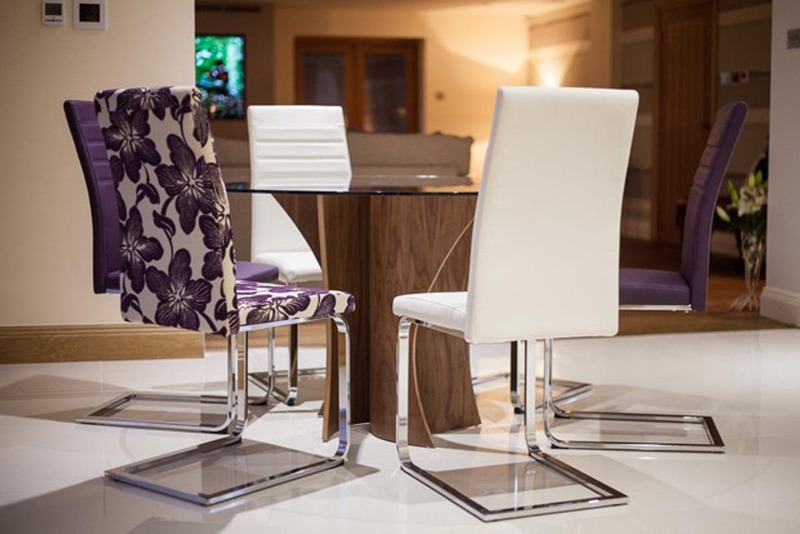 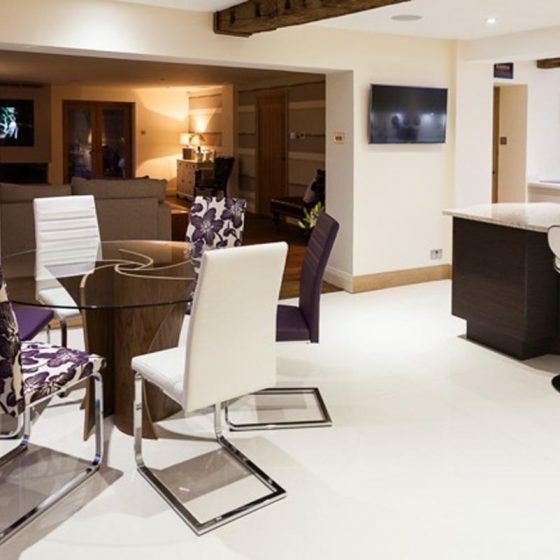 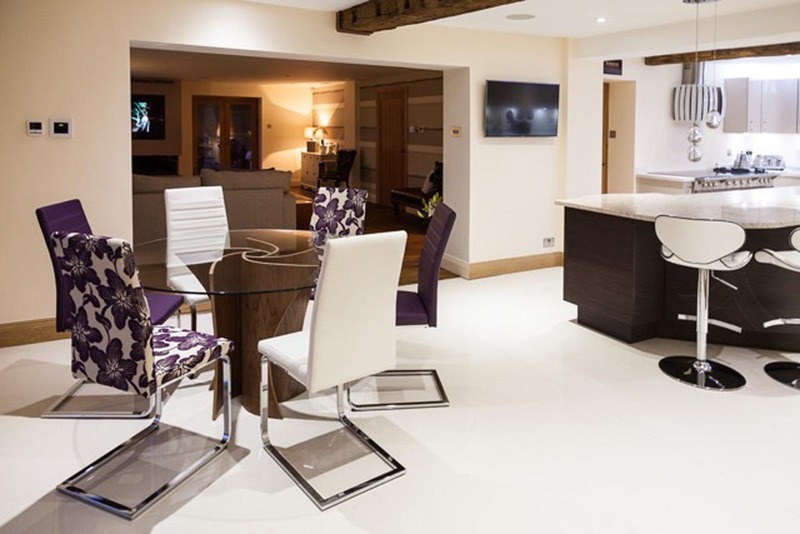 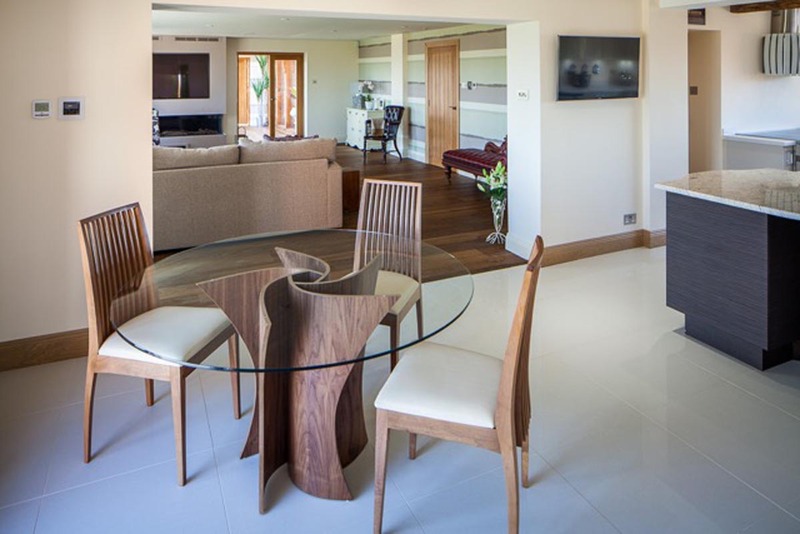 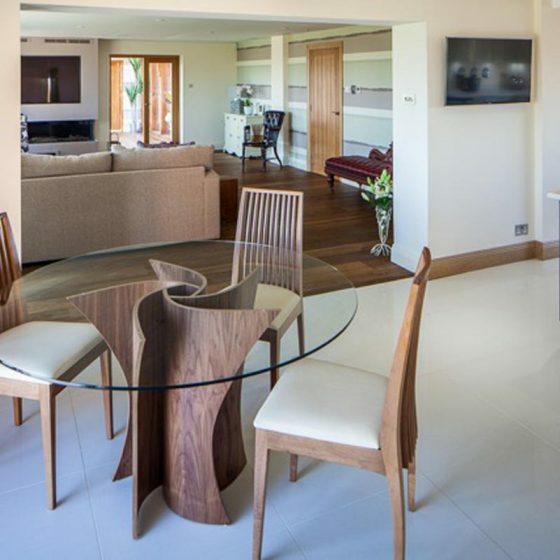 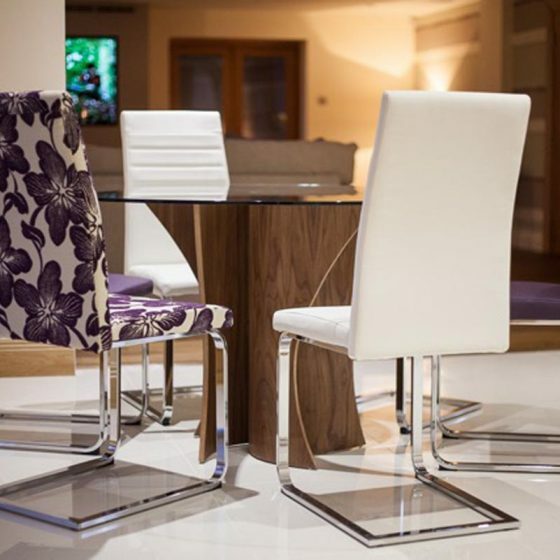 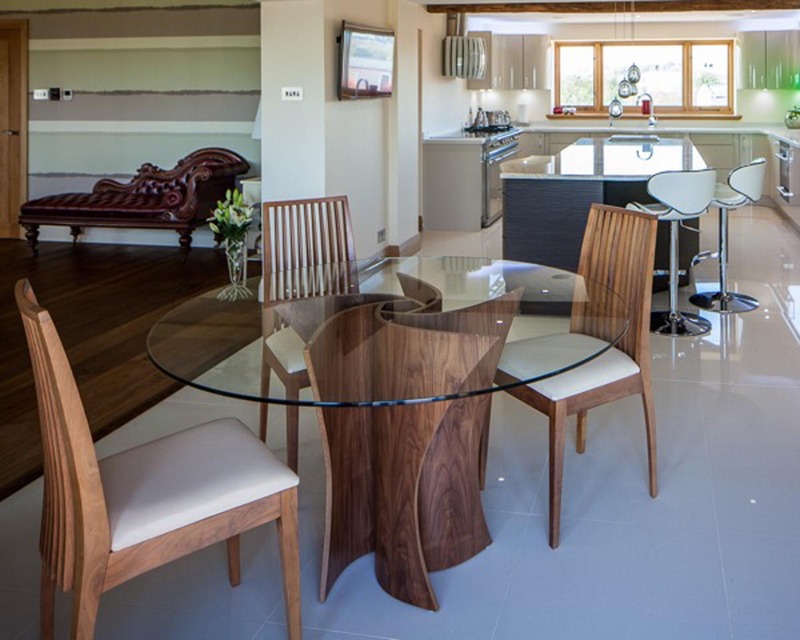 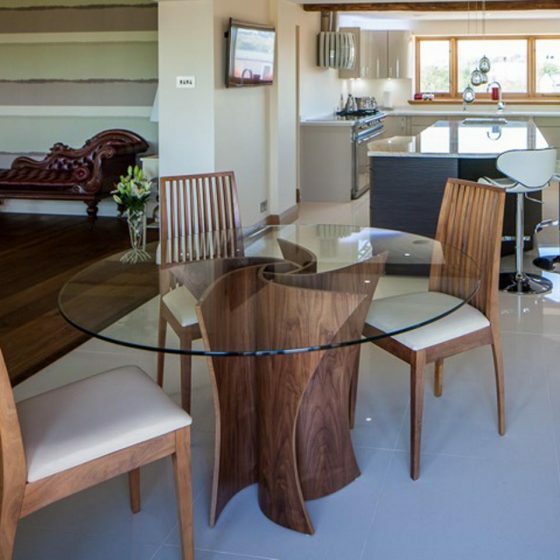 Available in Walnut and Oak, bespoke timber finishes can be specified. 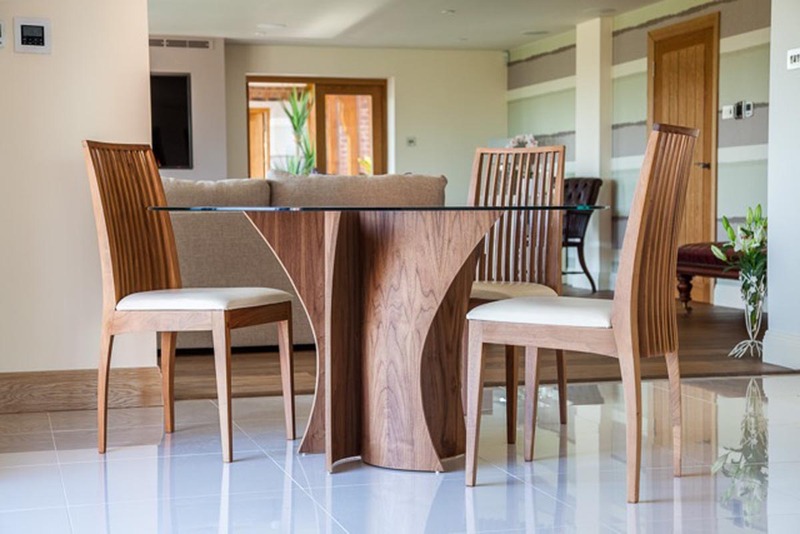 Materials used are highly sustainable and only sourced from FSC and PEFC certified suppliers. 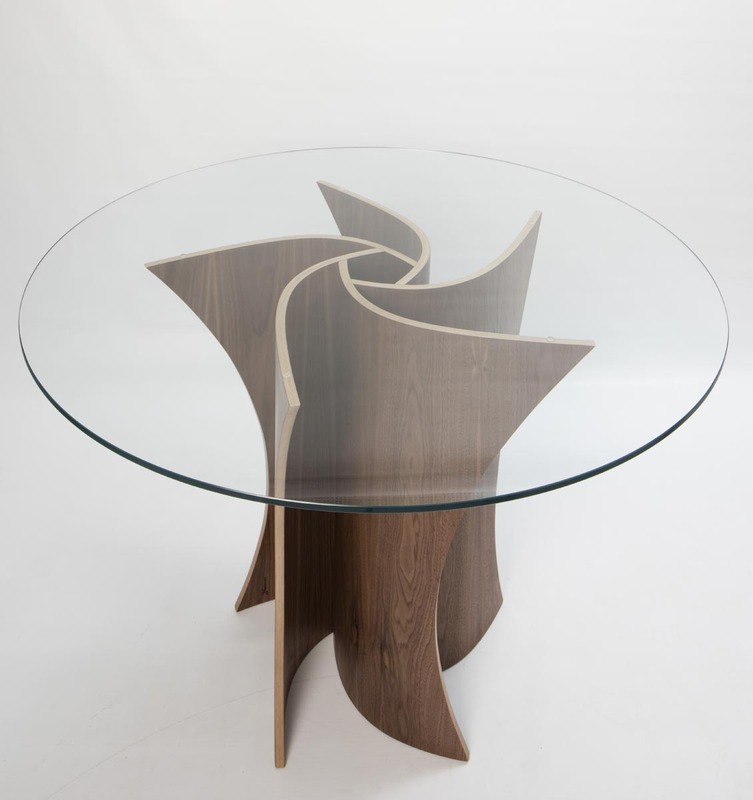 Also available up to 135cm / 53.1in diameter.